You only have to write so many product listings before you start to see a pattern. That’s how it has been at Marketing Words over the last few years. I thought it would be helpful to outline some of the most common mistakes we’ve seen when it comes to writing your listings and using keywords. Amazon isn’t like Google. With Google, there is a certain amount of repetition of keywords and phrases. On Amazon, however, you do not need to repeat keywords. Use it once and Amazon’s got it! Because many sellers don’t understand this, they are ruining the way their copy sounds as they try to rank higher on Amazon (without success). Last, we see countless folks inserting keyPHRASES into the search terms fields instead of keyWORDS. Amazon doesn’t work with phrases. They use literal keywords and each word is searchable on its own. If we remove any keywords that are included in our product name (aka, title) and other areas, we’ll have even more room. Here comes more traffic! Still have questions about creating stellar product descriptions? 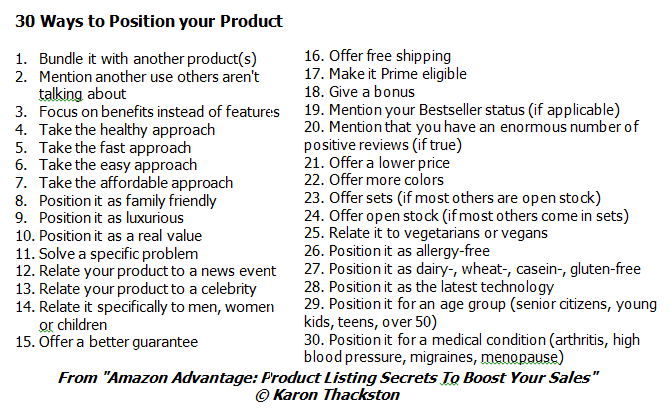 Enroll in Karon’s 4-session Amazon Product Description Boot Camp. This 4-week, live training series is devoted to showing you her best secrets for doing expert-level keyword research and cranking out titles, bullets and descriptions that make more sales. Click here to get all the details and use code Boot38 now to save 38% when you register now. LIVE Amazon Product Description Boot Camp that starts July 16th. Hands-on, in-depth workshop for creating Amazon product descriptions. Get all the details and use code Boot20 now to save 20% when you register now. Are you selling on Amazon with private labeling, bundling, retail arbitrage or manufacturing? Want to rank higher in the Amazon search results & make more sales? 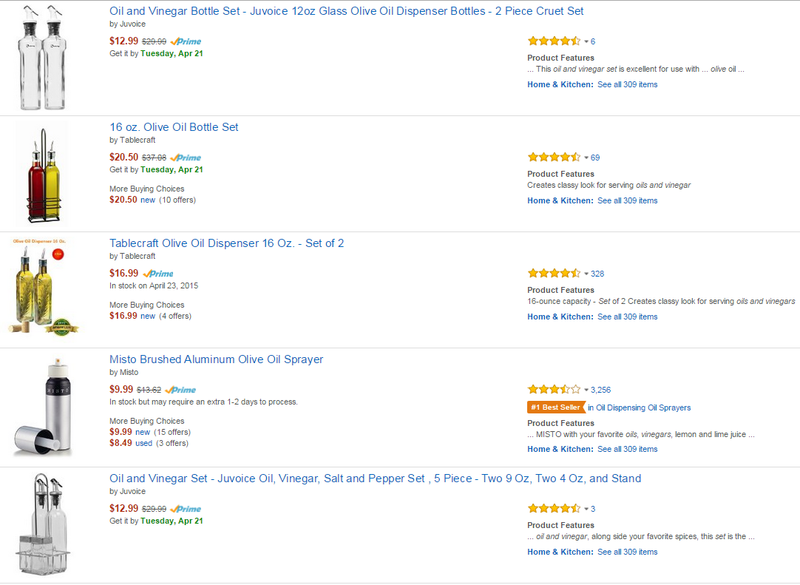 What’s included in Amazon Advantage: Product Listing Strategies to Boost your Sales? Time-tested methods for making your products stand out in the crowd even if others are selling the exact same things. Amazon’s list of 4 things you must have to rank well in their internal search engine. The tricks and strategies of creating product listings that rank well on Google (despite Amazon’s sometimes conflicting information). Real-life examples of products that excel (and some that fall flat on their faces). Cheat sheets and worksheets to help you nail your product descriptions every time. My private process for creating an all-encompassing keyword list that can get you better rankings and seriously more traffic to your listings. How to capture attention with engaging product titles. The right and wrong way to create features/bullets that work for you instead of sending shoppers packing. Insiders tips on avoiding common newbie mistakes that can seriously harm your success. This is not just the “what” of writing for Amazon. You also find out the “why” and “how” so you get a crystal clear picture of exactly what to do to rank higher, get more traffic and sell more products on Amazon.